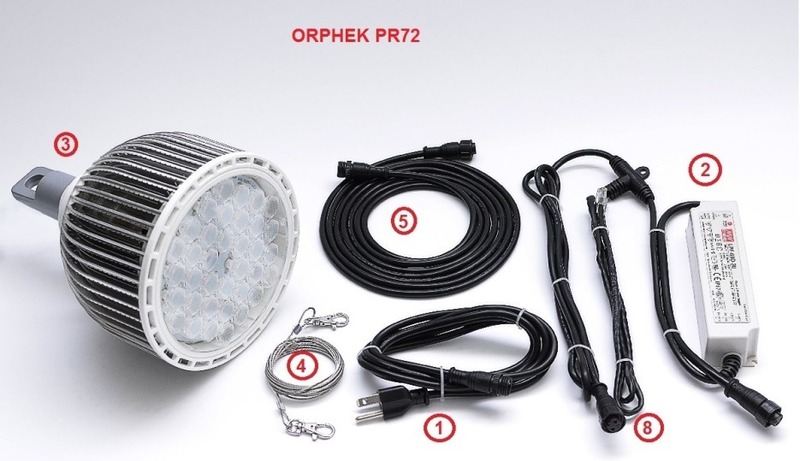 Orphek POWER REEF – PR 72 Reef LED Pendant is a member of the new PR 72 family of LED Pendants. 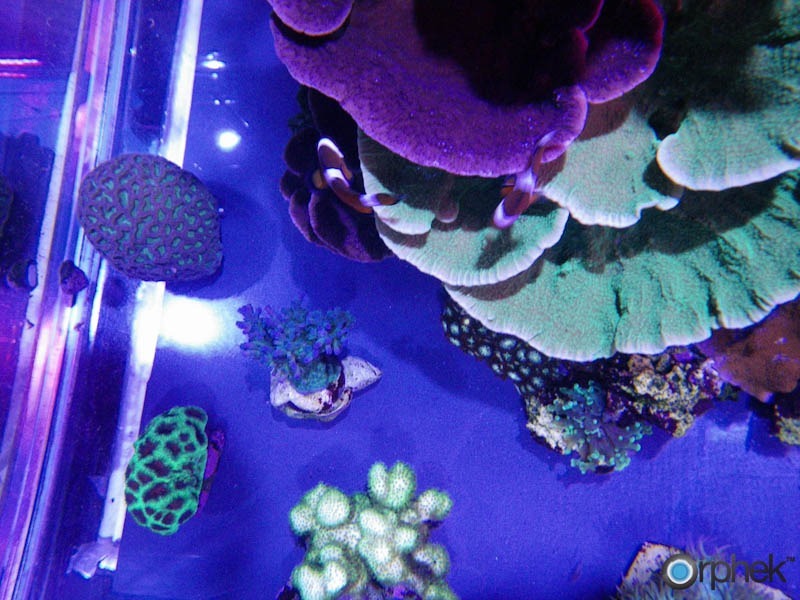 Its design goal was to aid hobbyists in growing beautiful corals in medium sized aquariums or larger systems when multiple units are used, and coral fragment tanks without relying on energy wasting metal halide or low PAR florescent tubes. 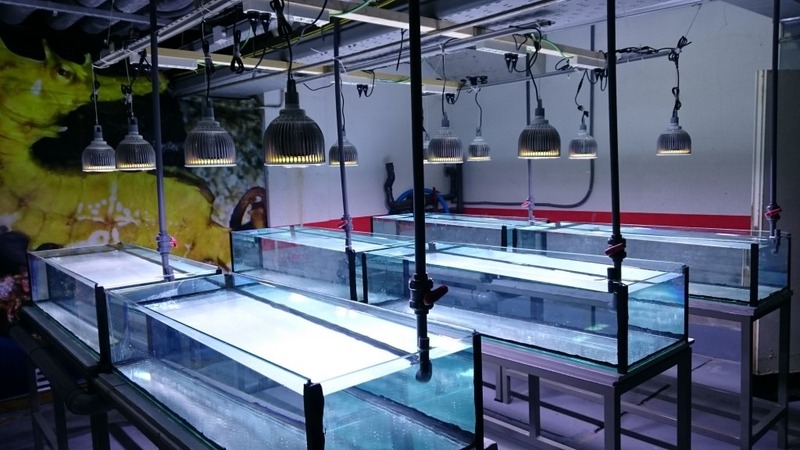 The LEDs were selected duplicate the PUR lighting spectrum which is beneficial and necessary for growing corals, clams, and marine plants. 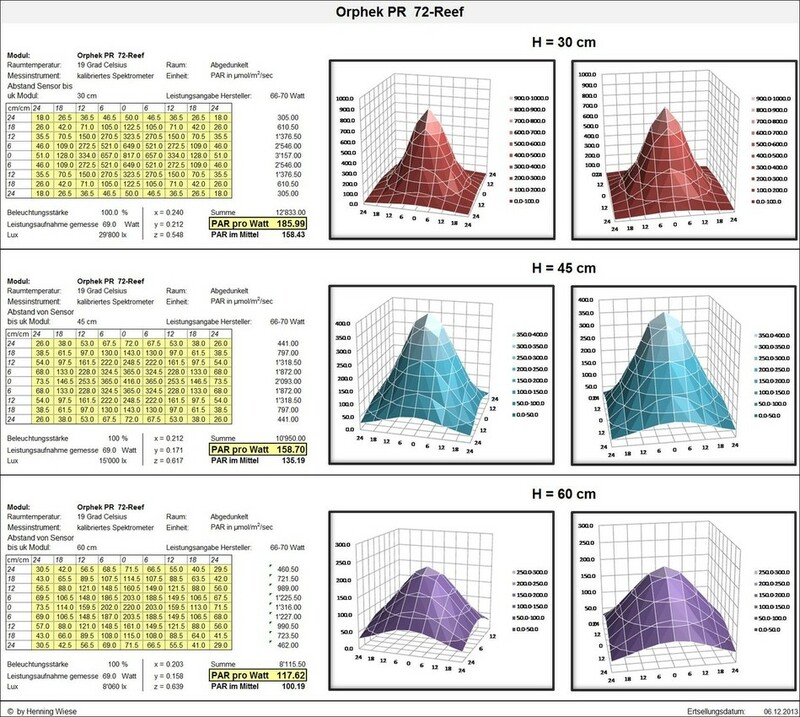 The highly efficient Mean Well LED Drivers are used here as well, no shortcuts were taken. 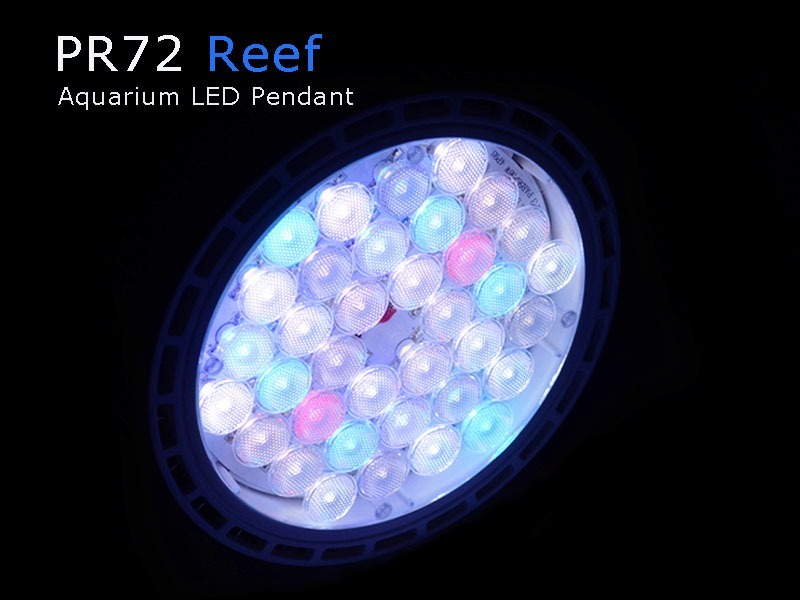 The PR72 Reef LED Pendant will produce High PAR/PUR levels. 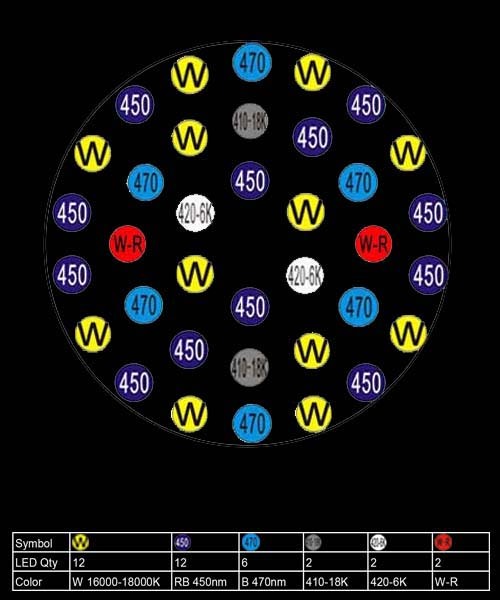 A plenty of PAR/PUR for growing all types of corals because the light energy is concentrated on the needed and desirable PUR spectrum while eliminating LEDs that emit non essential wavelengths. Through Orphek’s endless experimentation with LEDs and corals, we have created an affordable LED Pendant for medium sized systems or larger systems when multiple units are used. 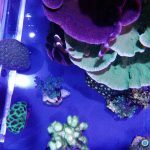 Our diffused lenses and high PAR/PUR levels will allow you to hang the pendant above your aquarium or refugium and still provide enough PAR/PUR to satisfy all corals if placed appropriately in the system. The PR72 Reef LED Pendant is a plug and play and the dimmable Mean Well LED Driver allows us to configure the PR72 to interface with most digital controllers currently on the market. The pendant includes a cable with an RJ45 connector for direct hook up to an Apex Variable Speed/Dimming Module (VDM). The RJ45 plug can also be removed allowing connection to interface boards with + and – terminals. Our one piece fin shaped combination aluminum housing and heat sink rapidly dissipates heat from the LEDs while eliminating excessive heat into your aquarium. The Mean Well LED Driver is remotely located to further minimize heat in the LED housing which helps ensure the LEDs will have a long life span. 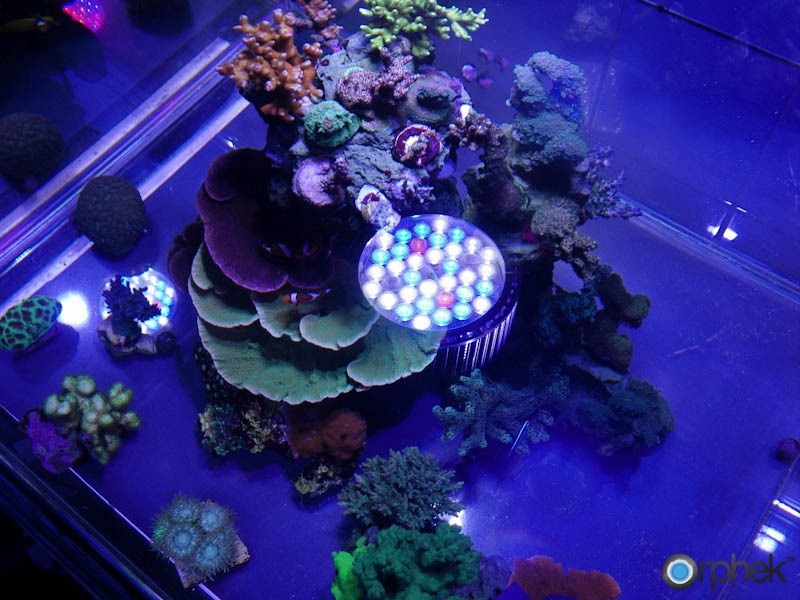 36 high power LEDs tuned to the PUR spectrum to provide excellent coral and clam growth. Maximizes natural colors of corals and clams. Mean Well dimmable driver for improved efficiency and longevity. 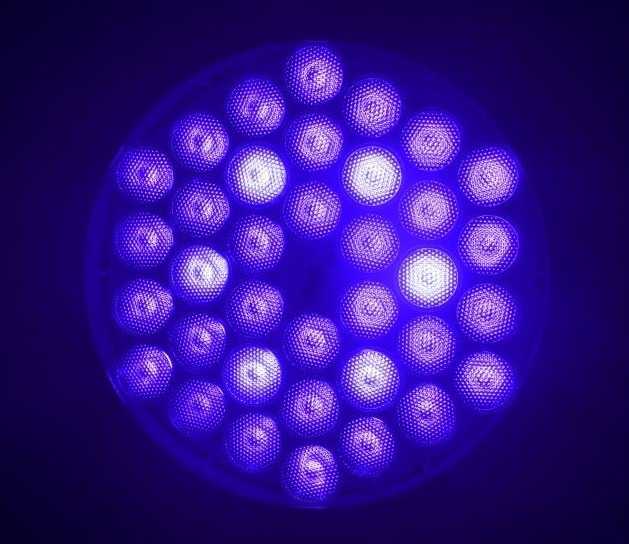 UV and wide spectrum red, white and blue LEDs duplicate the PUR spectrum and giving an 16,000K -18,000K appearance. 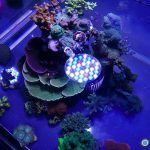 Dimming capability: Yes, with Apex, Reefkeeper, and other digital controllers.